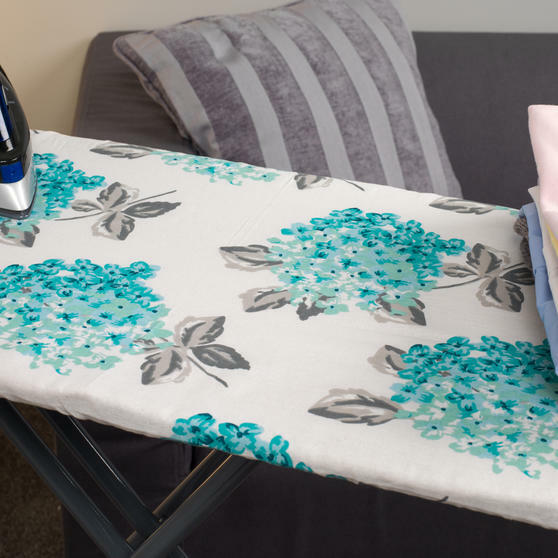 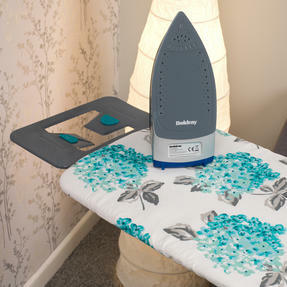 Great brilliantly crease-free clothes with this powerful Beldray 3000 W steam iron and chic floral print ironing board. 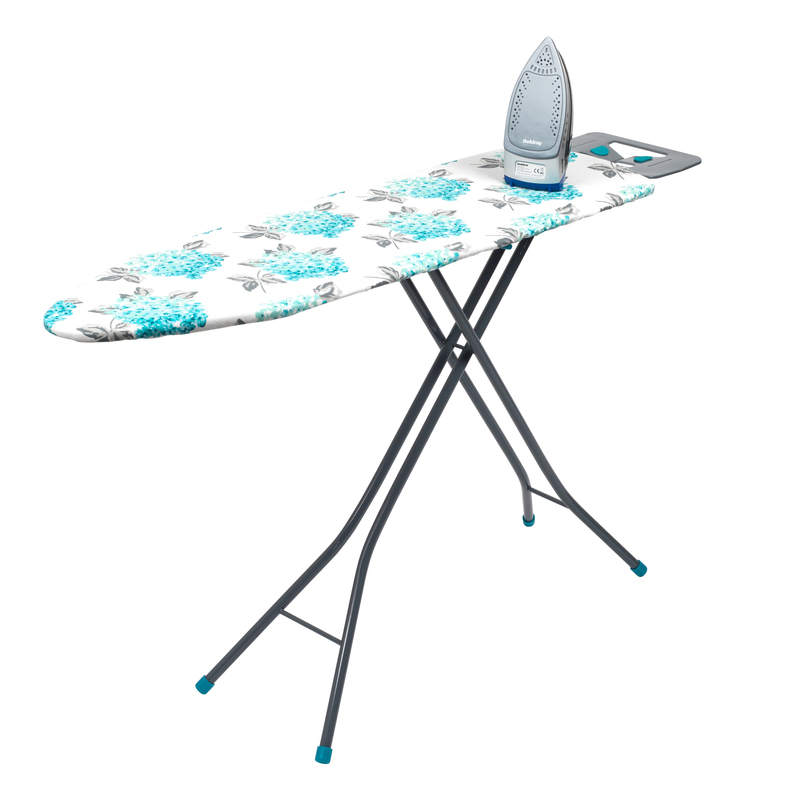 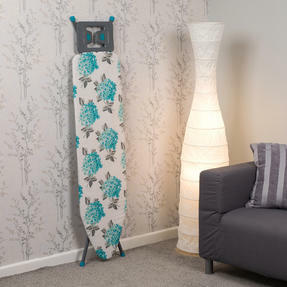 The ironing board features non-slip feet and a 100% soft cotton cover with a floral blue, grey and white print. The iron has an easy refill 380ml water tank with a self-clean function to remove scale and impurities as well as an anti-calcium filter to tackle hard water and deliver long-lasting steam. 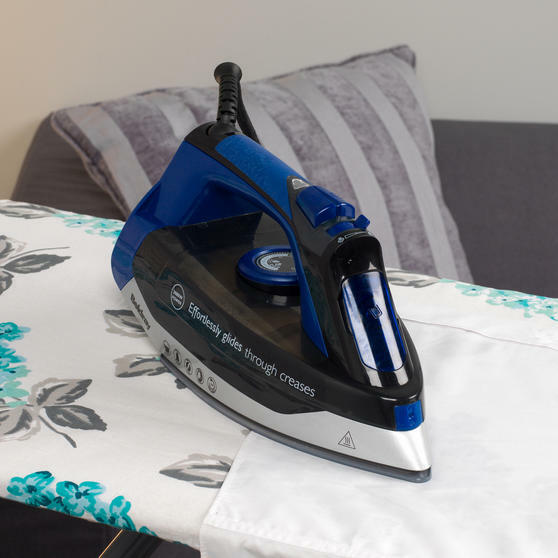 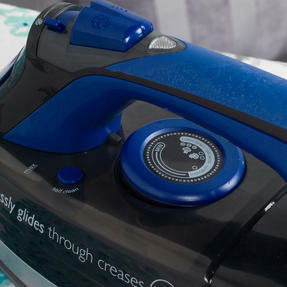 This 3000 W Beldray iron delivers powerful steam ironing for clothing, furniture, curtains or bed linen to produce outstanding results. The iron has an easy to refill 380ml water tank with a self-clean function and an anti calcium filter to tackle hard water and scale. 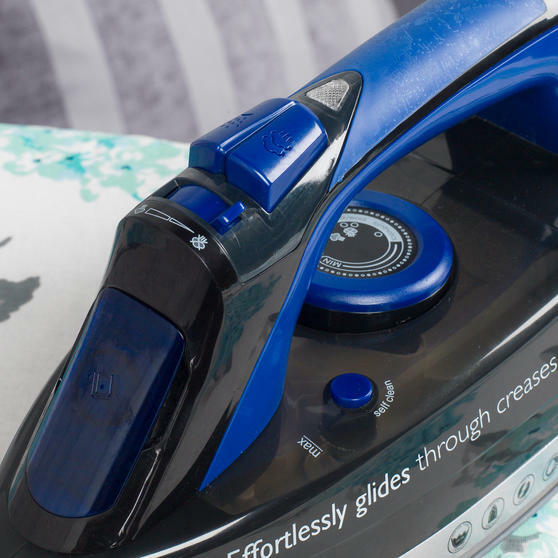 The iron has a smooth ceramic soleplate and vertical steaming capabilities with a continuous steam function for beautiful clothes. 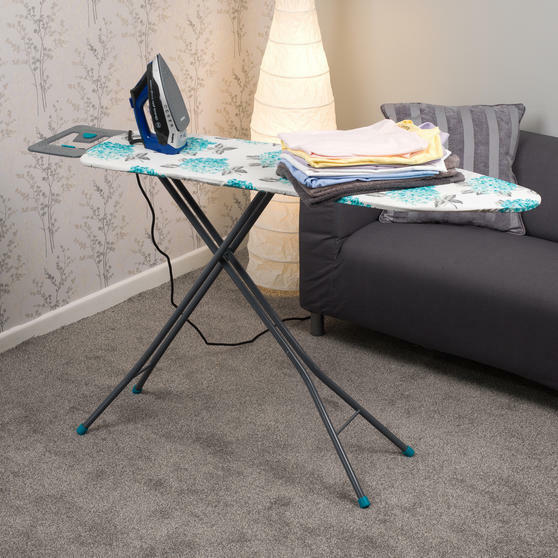 This board has a height of 90 cm and non-slip plastic feet to keep it securely in place, perfect for when you are stood when ironing.